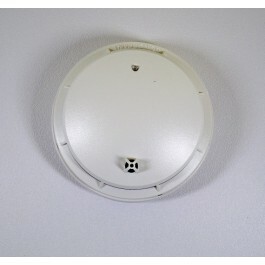 Smoke detectors and heat detectors are two of the most important safety devices you can have in your home or business. Injuries and fatalities caused by fire are most often caused by the presence of old, malfunctioning or absent smoke or heat detectors. When your home or business is protected by a smoke detector and heat detector, you have the best possible protection from fire. 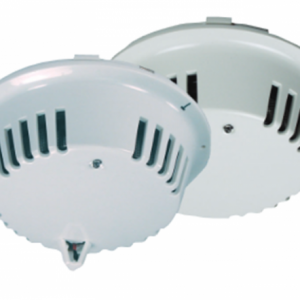 Life Safety Consultants supplies a wide range of smoke detectors and heat detectors from the most reliable manufacturers, such as Bosch and Simplex. Our selection of fire detection equipment from these manufacturers have helped keep families and businesses safe for decades, and they will protect you and your family, your business and your livelihood as well. The technology in fire detection equipment has continued to advance over the years and the best suppliers have evolved their products to offer even greater protection from these threats. Fire is a serious hazard and even today, thousands homes and businesses are ravaged by fire each year, resulting in millions of dollars in damages and many deaths. With the most advanced equipment and a full range of replacement parts all in one place, you can make sure that your smoke detectors, heat detectors and all fire detection and prevention mechanisms are working properly. Life Safety Consultants also offers these protective detection devices as affordable prices, so you can easily, conveniently and inexpensively maintain these life-saving pieces of equipment. Replacement smoke detectors and heat detectors from Bosch and Simplex are also convenient in that you can replace one part of the mechanism, keep the compatible control panel, and bring the device back to full working order. 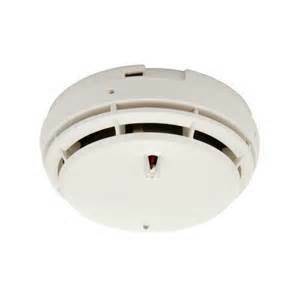 Find the smoke detectors, heat detectors and other parts that you need for your home or business online today. Contact Life Safety Consultants for assistance or for more information on any product by calling 888-557-0558.